Sorisha - Cooking at Pragyan's: Award time - thank you!!! Cooking and Travel stories of a Mayurbhanjia Odiya living in US .. Welcome to my world! Award time - thank you!!! Dear Reshmi from Noel Collections also kindly sent me the following awards. Thank you, dear - appreciate it! I am so humbled by this gesture. Please accept the award and post it in your blog with the name of the person who has given you the award with his or her blog link. Share 7 completely random pieces of information about you. Include these set of rules. 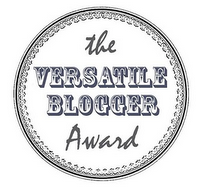 Nominate 15 other bloggers for the award and let them know about the award by leaving a comment in their blog. I love sewing and knitting. I love making day trips to DC which baffles most of my friends including hubby dear. In High School English classes, loved composing essays - most were better than I have up here! Inspite of being a blogger, writing these seven things seemed the longest ever for me! Love organizing events - get a kick out of the TBD lists! Satarupa @ Food for thought!! There are so many more blogs that are inspiring in nature and are "one of their kind". The above list could just go on but for brevity, will refrain from adding more names in there. If you hear from me every now and then, you have touched me and helped me grow - thank you for the camaraderie, even though it is virtual in nature so far! Have a great day! 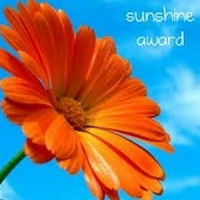 Thanks for visiting my blog, and Thanks a ton for the award! Feel really encouraged! AT last, am able to leave a comment. Thansk a lot, it's very generous of you to mention me. I love reading your blog too, very dear to me because of the person and because it's about Odiya food. Thanks a ton Pragyan :) I've just neglected my blog of late and this gesture reminds me how much it means to me to have that space to articulate my thoughts. Will post soon, and let you know when I do! Dahi Bara yet again and Random thoughts! Odiya cooking blogs list...and Happy Utkala Divas! Rajma Galouti Kebab - Anniversary post! Papdi Chat for London Olympics Inaugration!! Blog Content and Pictures are the copyright of Pragyan and sorisha.blogspot.com, 2007. Watermark theme. Powered by Blogger.